This year, Invictus Games takes place on October 20-27 in Sydney, Australia. 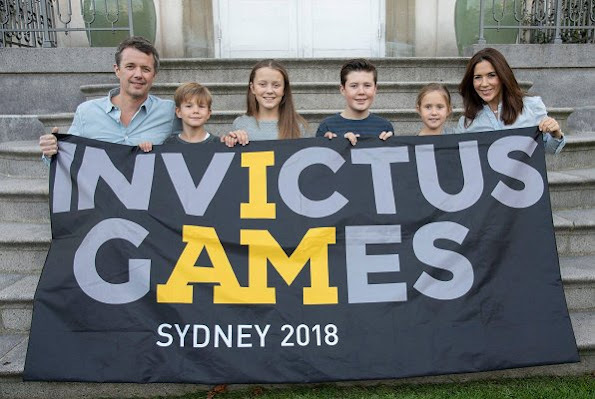 Danish Crown Prince Family declared a support message for Invictus Games 2018. Danish Crown Prince Frederik will be in Sydney to support 25 Danish veterans taking part in volleyball, swimming, archery, rowing, cycling, athletics, power lifting, driving challenge and sailing branches. The Duke and Duchess of Sussex will also attend the games. The Duke of Sussex is the patron of The Invictus Games Foundation. I love the fact that CP Fredrick and Mary involve their children in such activities. Thank you for supporting a great and worthy sport that brings injured vets together. Great and loving family. God bless you. There are sadly wounded Worriers every where. CP Frederick will be in Australia for the Games.I am glad he is doing so well after Surgery and give his support to the worthy cause.